Synetis is a consulting firm and technological expertise exclusively dedicated to the field of Cybersecurity. Created in 2010, Synetis has remained since its creation a 100% independent company capitalizing on organic growth without investors other than the two co-founders of the company. The long-term partnership approach with its clients has enabled Synetis to build strong relationships and proximity based on trust. Created in 2010, Synetis has remained since its creation a 100% independent company capitalizing on organic growth without investors other than the two co-founders of the company. The long-term partnership approach with its clients has allowed Synetis to build strong relationships and close relationships based on trust. Rémi FOURNIER chose an operational position as a System and Security engineer within a large French administration. Wishing to invest himself in more varied missions and different international contexts , he quickly moved towards the service sector as a security consultant. Initially working on integration projects, his capacities of adaptation and its acute sense of customer satisfaction lead him tomanage integration teams thento evolve to the consulting field. 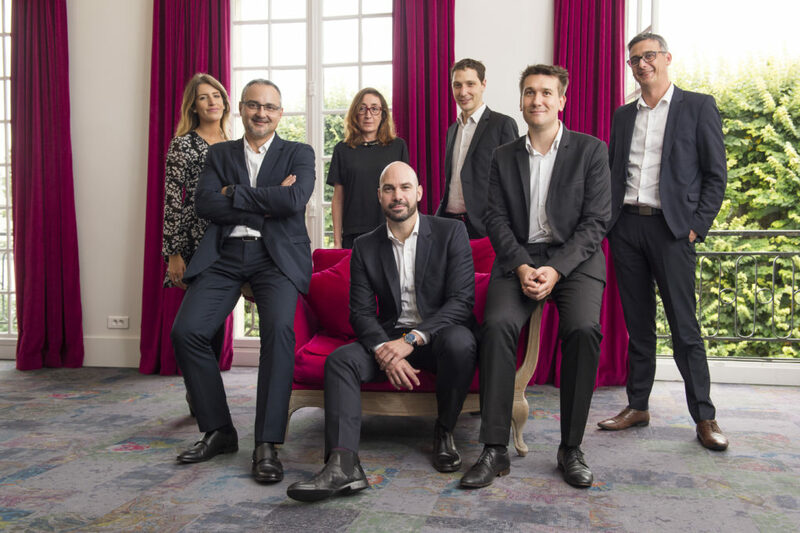 After 9 years of experience in the security field, Rémi FOURNIER chose the path of entrepreneurship and joined two other recognized professionals to initiate the SYNETIS adventure, a dynamic and innovative company, in the spirit of its founders. Ensuring the Management of the consulting business line, he is also deeply involved in the marketing and commercial development of SYNETIS. Company Security Architect certified TOGAF 9, impassioned evangelist of Security best practices adapted to the customers’ contexts, Cédric intervenes in multiple complex projects for various branches of industry. His main role is to have the organizations Security capacities emerge by carrying out successful transformations. His quick understanding of business and customer needs, combined with a high level of expertise and a strong adaptability, enable him to quickly bring visible value increments. David GEFFROY began his career in 2002 in a large ESN on various and varied missions as a networks and systems consultant, then was directed in 2007 in the IAM and the Security field. He successively was then responsible for support, consultant, architect, technical project manager and team manager. Impassioned by the IT and more particularly by the Computer security on all these aspects, it knew to develop an expert testimony necessary to assist and sensitize the companies in the transformation and the security of their Information System. Frederic LE LANDAIS began his career as a consultant working on the implementation of identity and access management solutions for various customers in France and Europe. Interested in functional problems, he quickly moved towards assistance for project management missions in order to accompany his customers on all consulting services (opportunity study, perimeter study, expression of needs, solutions choice assistance…), while keeping the technical reality of projects through the management of integration services. He joined SYNETIS to take on the IAM division and contribute to the growth of the consulting firm. SYNETIS is committed to a social and environmental policy in which ethics, respect and solidarity represent founding pillars, in-house or client-wise. All the tackled issues within this policy are permanent work-sites for long term prospect. By being a partner, SYNETIS has to maintain a permanent concern of « closeness », flexibility and proactivity towards its clients. For that purpose, the company estimates its annual performance thanks to a satisfaction survey that allows the client to express what he wishes on all the processed issues. Since its creation, SYNETIS based its social policy on respecting the individuals, equity and solidarity. Every year, the company takes some new measures that consolidate these choices. It also dedicates a significant budget to train employees, and, at the same time favor their professional and personal self-fulfillment. SYNETIS’s CSR approach aims to structure and develop its commitment to sustainable development. This approach meets a triple challenge for the firm: to behave as a responsible company with regard to its environment and its ecosystem, to contribute to the quality of the relationship with its partners, and to bring the cabinet into compliance with the regulations in force . 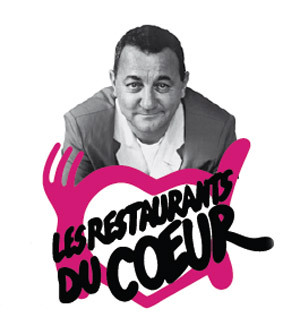 For the association Les Restos du Cœur, which helps and provides volunteer assistance to poor people, particularly in the food sector through access to free meals, and by participating in their social and economic integration, as well as any action against poverty in all its forms. around promoting gender diversity in business and higher scientific studies. Or, finally, by contributing to the development of the firm’s ethical approach by bringing back real-life cases and concrete situations. Synetis has been a signatory of the Diversity Charter since May 2018 and collaborates with the RQTH (employment of persons recognized as disabled workers). In addition, all our employees receive the same treatment in terms of wages and working conditions. HR monitoring is done monthly so that each employee has the opportunity to express themselves. In addition, each employee is followed by an HR consultant and a manager to promote career follow-up. Synetis, for the sake of permanent improvement of the working conditions, calls into question annually with all its employees by submitting to the questionnaire of the external organization “ChooseMyCompany 2018”. Once again, Synetis received accreditation in the category HappyIndex®AtWork! The results are as follows and are public: Global score: 4.3 / 5 and recommendation rate: 82.8%. Finally, the France ranking is 8.6. At SYNETIS, it is a commitment that governs our business project. We have made our ambitions for accountability a true quantifiable and measurable objective of the Ambition 2020 plan. This proactive approach obliges us not only to define specific action plans. Because of our consulting business, the social aspect, embodied in our human resources strategy, plays a fundamental role in our CSR policy. Moreover, because of the low impact of our activity on the environment, our responsibility is also turned towards the societal aspect. All our initiatives involve all of our employees; These are the ones led by our patronage with the Perce Neige associations, the apprentices of Auteuil, the Restos du Coeur, the approach of responsibility is a commitment of everyone. We are essentially working to promote equal opportunities, to fight against discrimination, and to guarantee our stakeholders a strict framework of ethics and transparency. This association helps educate and train more than 13000 struggling teenagers to allow them to fit into the society, while standing by families in their parental responsibilities. This association, founded by Lino Ventura and his wife defends the cause of mentally defective persons, particularly autistic and with Down’s Syndrome children. SYNETIS is working with 3400 signatories of the Diversity Charter to fight against discrimination and promote diversity in companies. Success has flavor only if it can be shared. SYNETIS always wants to engage more on the social level and sponsor the association the restaurants of the heart!